Are you looking for the most effective way to optimize your website so that it appears at the top of Google search results organically? If yes, then its a good time for your brand to come up with a strategic approach for organic SEO services. While Google algorithm updates have dramatically changed many of the “old seo tricks” over the last decade, a few key rules have never changed (and probably never will change). These factors include: reputable websites pointing to your site, high-quality content existing on your site, and Google being able to measure whether your site provides value for its visitors. We help you improve in those 3 main areas which inevitably will get your site to rank higher naturally in Google search. Organic SEO (Search Engine Optimization) is organically achieved web page ranking in a way that is free from any form of advertising and paid promotions. Organic SEO is when your website stands out on the SERPs (Search Engine Result Pages) or ranks high in search engines organically. This pure strategy of crafting the content on (and off) your site to optimize your web pages according to the relevant keywords and high-quality content serves the concept of organic SEO. As a business owner, it is more important that ever to partner with a high quality Organic SEO company because of the potential negative consequences of deploying harmful SEO strategies. These “black hat” strategies are caught by Google almost instantly nowadays and can harm or even blacklist your site from Google search if you aren’t careful. Snap only uses the highest-quality organic SEO strategies, all of which are heartily endorsed and suggested by Google. Search engine optimization tactics typically fall into two separate categories. The first is known as “on page seo” which refers to all the ways you can improve the ranking of your page or website onilne by crafting what goes on within the pages of your website. In contrast, off page seo refers to the steps you take outside of your website to help make your site or pages rank higher in Search (primarily referring to getting backlinks that point to your website). What Does Our Organic SEO Service Include? High-Quality Engaging Content: As they say these days, “content is king”. Crafting high-quality content is like a powerful magnet pulling your ideal prospects into your site, consuming that content, and forming a positive opinion of you and your knowledge of your industry/offering. Great content will not only get your prospects in the door (figuratively speaking), but it will also have them coming back more often and for longer. Keywords: Organic SEO all starts with identifying your top 10 or 20 keywords or “keyword search phrases”. Put simply, these are the words that sum up what you offer, often in a way that your prospects search for your services online. By identifying the top ways you want to be found online, that creates a road map of sorts for how you should structure the pages and content on your website. Backlinks: When another website has a link that points to your site, that is known as “getting a backlink” to your site. In today’s organic SEO game, Google still holds high regard to external links pointing at your site, however it is much more selective now in choosing quality over quantity. It is much better to have even just 3-5 really high quality links pointing to your site than having 3000 spammy backlinks pointing at your site. By “high quality” I mean high-authority sites pointing to your site. The more reputable the site is pointing to you, the more Google holds your site in high-regard. 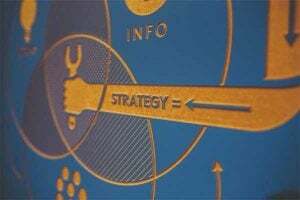 Link Building: Deploying a strategy by which you reach out to other reputable sites (usually within your industry) and work out a deal for them to place a link on their site which points to yours, that is known as “link building”. The most common ways to legitimately gain the best backlinks are to partner with affiliates like chamber of commerce sites you may belong to, trade sites relevant to your industry, the BBB site, or other reputable sites who may be willing to point to your site. Another strategy involves you offering to “guest post” on a related website as an industry expert, sometimes in an interview format. This works as a trade of sorts whereby you offer your expertise and content in exchange for a back link from that new partner site. Why do you really need Organic SEO services? Organic SEO is not a new concept, although it is sometimes looked down upon compared to PPC advertising simply because it takes longer to see the benefits of organic SEO vs. launching a paid Google Adwords campaign (for example) which can start driving traffic within the hour. Still, organic SEO is better than paid for the simple fact that once you start ranking high in Search, you likely won’t need to do much work after that to stay ranking high for that particular keyword phrases and in essence that channel of traffic becomes “free”. And what is better than high-quality, free traffic, right? Contact us for a free strategy call to discuss your Organic SEO.